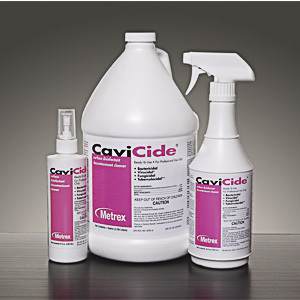 CaviCide is a disinfectant, cleaner and decontaminant all in one. It is safe for use on non-porous surfaces, and is compatible with most medical device materials. 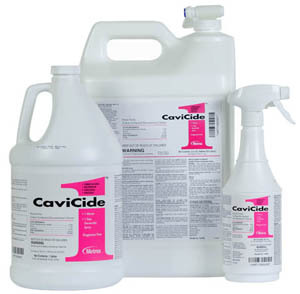 CaviCide 1 is the next generation in surface disinfection. A multi-purpose disinfectant/decontaminant cleaner, CaviCide 1 is for use on hard, non-porous surfaces. Effective in killing bacteria, viruses and fungi in 1 minute, including TB, Norovirus, A. baumannii, HIV-1, HBV, HCV, and many more.